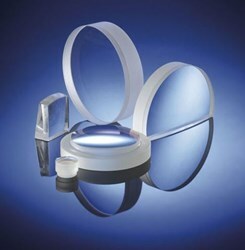 LaCroix Optical Co. specializes in custom precision achromats, manufacturing thousands each week. Cost efficient solution for dealing with Chromatic aberration. Advanced, in-house metrology including over 30 shop floor interferometers, 4 Zygo GPI XP phase shift interferometers, 2 Trioptics Opticentric/Optispheric devices, and a Mitutoyo coordinate measuring machine.